Karen Walker Flowerpatch - Navy / Khaki Need Help? More of a classic shape and size, (as far as Karen walker’s go) the ‘Flowerpatch’ is a perfectly proportioned rounded Cat Eye. 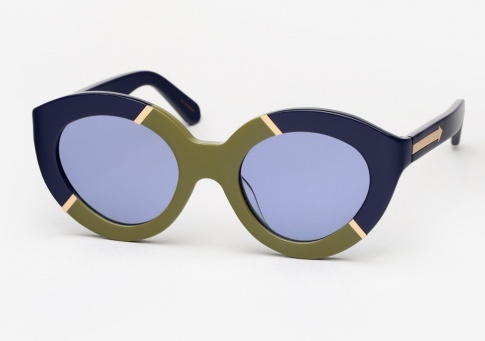 It is offered here in navy and khaki acetates separated by a gold inlay and finished with complimenting pastel blue lenses.